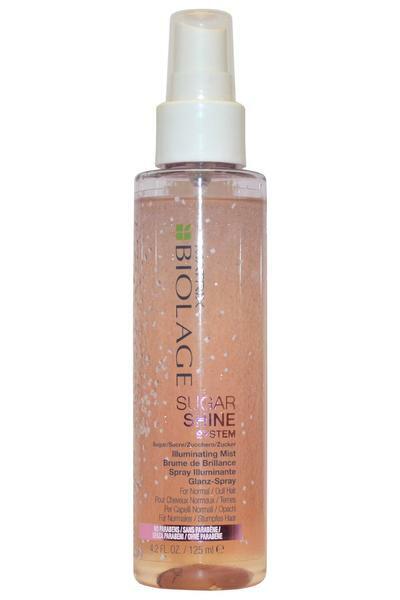 Matrix Biolage Sugar Shine Illuminating Mist Spray is a multi-beneficial formula that works to lock in moisture and enhance shine, whilst fighting frizz and controlling flyaways. Lightweight and non-greasy, the spray provides heat protection from damage caused by styling tools. Leaves hair smooth, sleek and managable.